Riccardo and Carlotta, already looking forward to the first urban WOC in 2020, participated this weekend at the Euromeeting races, a classic 2-years-before-WOC competition venue. 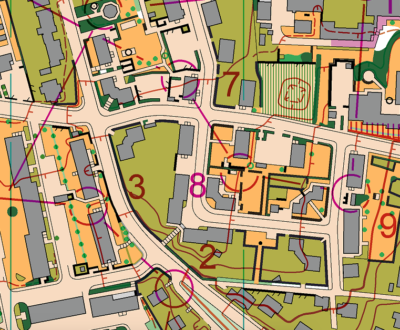 This time the program was very tough, starting with a sprint Relay on Friday, followed by a qualification and three more knock-out races on Saturday, and finally a Sprint on Sunday too. 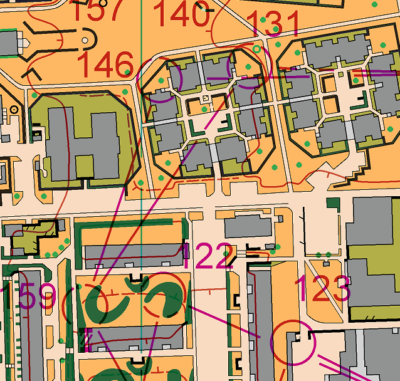 The terrain in Denmark offered some very challenging sprint orienteering, where, despite not the nicest areas, the course setters managed to create perfect mixes of technique and physical running. 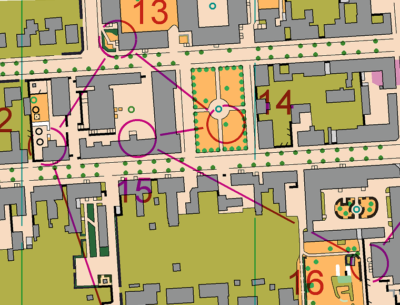 In the Sprint Relay Carlotta did her usual good first leg, coming to the changeover in contact with the leading group. Riccardo too ran well and managed to gain some positions in the field. At the end of the four legs, the Italian Team finished in 23rd position. On the next morning, it was time for a short 2,8km qualification race, whose results were valid for the afternoon knock-outs. This time the terrain was more mixed and a bit more technical, and suited well Carlotta who qualified for the Knock-Out quarterfinals. 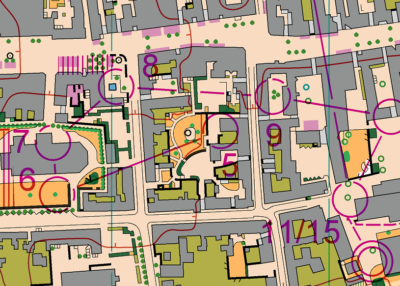 Riccardo, on the other hand, underestimated the race and did too many mistakes; closing 4″ behind the qualification time. Riccardo had some anger from the disappointing qualification and managed to have an ok result, despite missing more than 30″ seconds. Carlotta too ran well and stable, but most importantly PAIN-FREE! So she’s really looking forward to rocking it in the two weekends at the next round of World Cups in Prague, Czech Republic.